AEMULUS (0181) forming descending triangle pattern. Will it breakout strong resistance? Stochastic %K @ SELL call. Immediate support @ RM0.285 level. 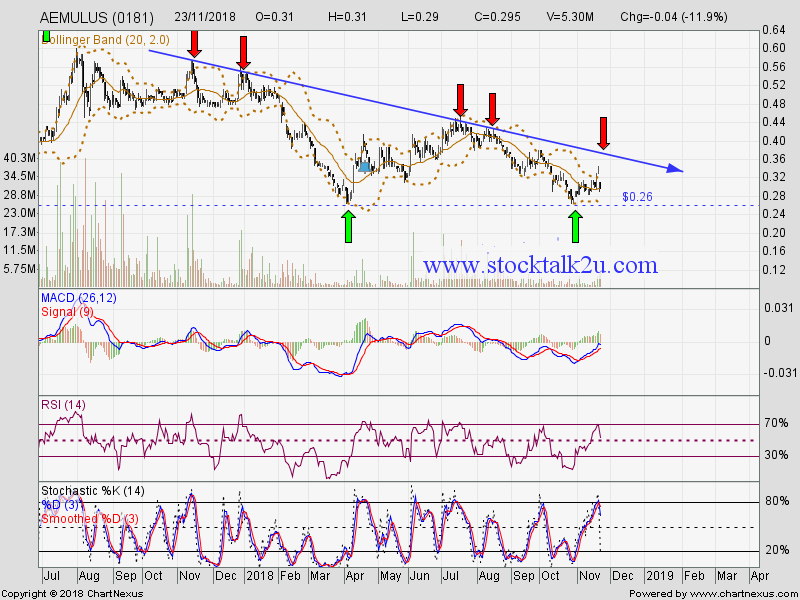 Immediate resistance @ RM0.36 level. 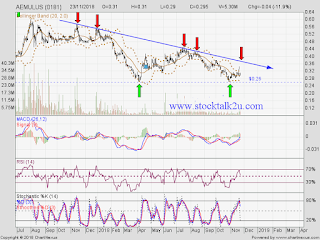 Subsequent resistance @ RM0.38 level.